The proposed route for the Hyperloop between the city centers of Vijaywada and Amaravati could potentially turn a trip of more than one hour into a 6 minute ride. The project will use a Public Private Partnership (PPP) model with funding primarily from private investors. The government of Andhra Pradesh has signed a Memorandum of Understanding (MoU) with California-based Hyperloop Transportation Technologies (HTT) to develop India's first Hyperloop route in the state. In a blog post, HTT announced its first agreement in India for the new transportation system. 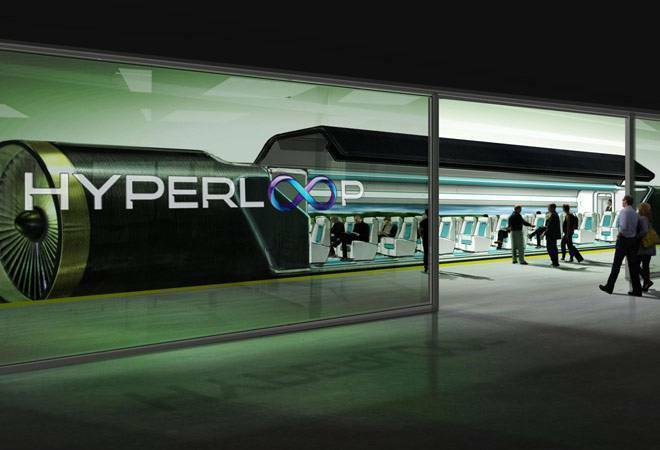 The futuristic transport company said the project is expected to create over 2,500 jobs. The proposed route for the Hyperloop between the city centers of Vijaywada and Amaravati could potentially turn a trip of more than one hour into a 6 minute ride. The project will use a Public Private Partnership (PPP) model with funding primarily from private investors, HTT said in the post. "We are extremely delighted to have entered into a MoU with the Government of Andhra Pradesh to bring the HTT Hyperloop to India," said Bibop Gresta, Chairman & Co-founder, Hyperloop Transportation Technologies. "In partnering with Andhra Pradesh, HTT will work with local stakeholders to build the regulatory standards necessary for safe and efficient operation," HTT said. HTT will conduct a six-month feasibility test that will begin in October during the Phase 1 of the project. The study will help HTT in identifying the best route between the two cities. "HTT's transportation platform will enrich the IT infrastructure and ecosystem of Andhra Pradesh to a large extent," said Nara Lokesh, Cabinet Minister for Information Technology, Panchayati Raj and Rural Development for the State of Andhra Pradesh. "The Hyperloop will give rise to development of various state-of-the-art technology parks and software clusters in Amaravati, helping to fortify the city's image as a world class leader in science and technology." "Amaravati is a state-of-the-art city being developed in Andhra Pradesh as its de facto capital. In order to boost its image and emerge as the frontier city in future technology, Amaravati is looking forward to collaborating with Hyperloop Transportation Technologies. Hyperloop is a cutting-edge technological disruption in the transportation industry," said Krishna Kishore, Chief Executive Officer, APEDB. Discussing the added benefits of establishing an ultra-high speed connection between the cities, Kishore added, "Like most of the world-changing technological advancements, HTT aims at collaborating with Government of Andhra Pradesh to foster research and development, in order to bring affordable and low-cost technologies for the masses. This will eventually lead to improved standards of living in the region. The EDB along with Government of Andhra Pradesh will assist Hyperloop Transportation Technologies Inc. (HTT) with all regulatory requirements to develop and implement Hyperloop."